It’s taken me a while to figure out why I both love and hate The Golf Club, but now I think I’ve finally figured it out, Mario! Let me elaborate on that, actually. When I was – let’s just say ‘younger’ – I used to play Mario Golf on the original GameBoy. You know, that one with the top-down viewpoint, simple controls and with that awful, terrifying noise if your ball left the map. That one. 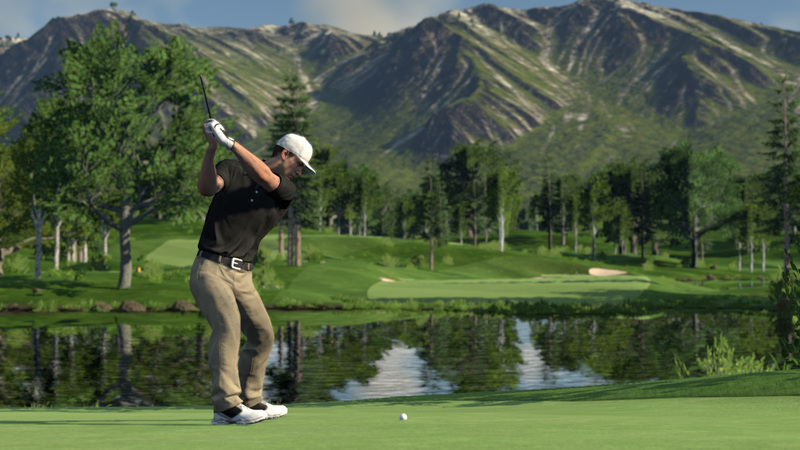 The Golf Club by HB Studios feels almost exactly like that, only slightly more mature. I’ve sat down with other games you would consider ‘proper’ golf simulators, and whilst you get the impression they should be easy to pick up, they really aren’t. In many of them, you can find yourself launching your golf ball into the nearest tree or lake with no idea how you did it. The Golf Club is a really good example of an arcade golf sim. It’s very easy to pick up and play – everything looks and feels intuitive; you move the left analogue stick to swivel your generic golfer on the spot and use your right stick to control how hard you hit the golf ball. It’s an interesting mechanic, but one that isn’t always as responsive as you might expect. More often than not, when starting out, I’d end up accidentally whacking the ball with my putter when I was only a couple of feet away from it. More experienced golf sim enthusiasts will like the deeper details, such as being able to select specific clubs and choosing how much drift to add to your shot. Taking wind speed into account is sometimes hit and miss, though, with (in one game) a 7mph wind had next to no effect on my shot and another (separate game) seeing my shot fly off into the ocean with only a 2mph wind. The biggest letdowns with The Golf Club are probably the commentator and lack of depth in the game. Sadly, the commentator is one of the most condescending people I’ve ever heard – make a bad shot and he’ll tell you he was expecting it. Make a great shot and he’ll just act surprised that you actually managed not to kill any wildlife with it. The depth of the game is also something that feels lacking. I realise that this is probably expecting a lot from, what is essentially, this generation’s Mario Golf, but some sections make you feel like you’re literally stood on the only piece of land in the entire world – just tapping a small white ball into a pocket of infinite blackness. 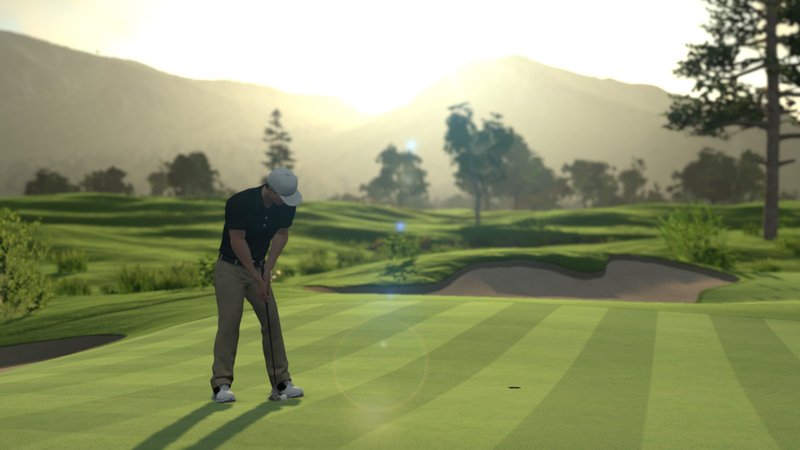 Steering away from existential conflicts – The Golf Club also features a “simplified course editor” – which, at first, allows you to create an entire range of courses with just the touch of a few sliders, but anything more than that and the granular details of the course editor can feel clunky and unintuitive. If you’re *really* into creating golf courses, you’ll likely spend enough time getting to grips with it, but it’s not as easy to use as it may first appear. The Golf Club is a very fun and enjoyable game, but probably not for the reasons HB Studios want it to be. The snippy remarks from the commentator and the sometimes laughable landing positions of your shots will keep you entertained, but this doesn’t feel like the serious golfing simulator they wanted to release, even though it definitely is a fun title.